The Guitar Sanctuary is proud to present a special evening with Tuck and Patti on Friday September 14th at 8pm (doors open at 7) at The Sanctuary Music & Events Center with special guests Nick Knirk and Michael Horne (Acoustically Speaking). VIP Tables with seating for 4 directly in front of the stage at $150 per table. Individual Downstairs seats (First Come, First Serve) are $25. General Admission (Standing Room Only Tickets) on the upstairs balcony are $15. Our friends from Sterling Events & Catering will be on hand to provide food and bar service. “Not since Ella Fitzgerald met Joe Pass on stage has there been so felicitious a mating as Tuck & Patti." To understand Tuck & Patti, start with the wellspring of love within them, then their music begins to make perfect sense. Married 37 years, Tuck Andress and Patti Cathcart continue to stoke the fires, not only of their own love, but also of their love of life and their passion for making music together. 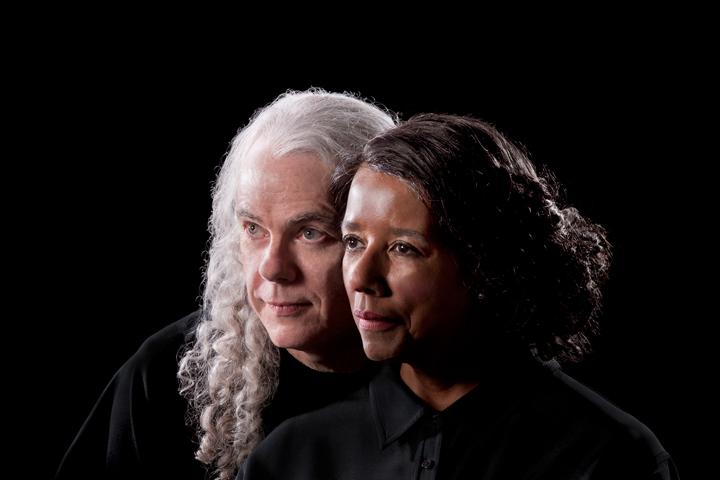 They have a long-standing tradition: Minimalist arrangements featuring Tuck's extraordinary virtuosity and Patti's rich mezzo soprano. 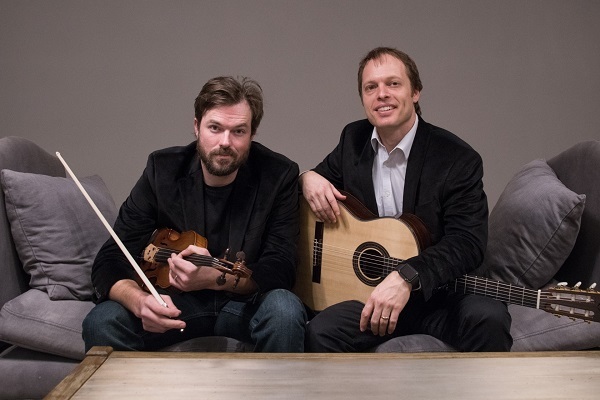 Guitarist Nick Knirk and Violinist Michael Horne will wow you with their amazing instrumental duet of classic hits done with unique arrangements.